E-Rider bikes are covered by our comprehensive two year warranty which applies to all components including the battery. Our warranty applies to new bikes purchased or leased directly from this website and is not transferable. We will normally send out replacement components with instructions to fit, however in the rare cases where this is not possible, we may send out a technician or customers may be required to return their bike for repair. The warranty does not apply to “consumable” items like tyres, tubes, brakes and chargers, or to components which fail as a result of abuse or accident. 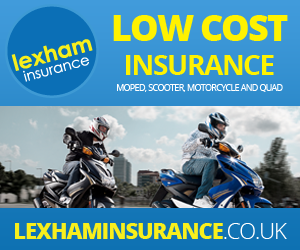 The E-Rider Ltd returns policy has been set up to make the process as easy for you as possible. If, when you receive your bike, you are not completely satisfied, you may return the item to us within fourteen days, for a full refund. Items must be returned in the original packaging and you will be responsible for the return carriage charges involved. In the unlikely event that the product arrives damaged or faulty, please contact us immediately and we will take action to remedy the problem as soon as possible. Your statutory rights are unaffected. We normally aim to deliver within 7-10 days of order and we will contact you if we become aware of any unexpected delay. You will be contacted prior to delivery to arrange a convenient time. The specifications advertised on our website are those supplied by the bike manufacturers. Please note that the range of electric vehicles is dependent on a number of factors including body weight, terrain, wind speed and tyre pressures, and the maximum ranges quoted can by no means be guaranteed. In truth, the only way to be sure that a bike will accomplish a particular journey is to try it. We have taken the appropriate measures to ensure that your personal information is not unlawfully processed. E-Rider Ltd uses industry-standard practices to safeguard the confidentiality of your personal identifiable information, including firewalls and secure socket layers. During the payment process, we ask for personal information that both identifies you and enables us to communicate with you. We will use this information only for legitimate purposes directly connected to your purchase. All content included on the site such as text, graphics logos button icons images audio clips digital downloads and software are owned by E-Rider Ltd and are protected by international copyright laws. E-Rider Ltd grants you a limited license to access and make personal use of this site. This license doses not include any resales or commercial use of this site or its contents, any collection and use of any products, any collection and use of any product listings descriptions or prices, any derivative use of this site or its contents and any downloading or copying of account information. For the benefit of another merchant or any use of data mining, robots or similar data gathering and extraction tools. This site may not be reproduced duplicated copied sold – resold or otherwise exploited for any commercial purpose without written consent. Prices and availability of items are subject to change without notice. The prices advertised on this site are for orders placed and include VAT and delivery.